Designed in the spirit of Mother's Day and springtime, this delightful gemstone butterfly ring is the perfect gift to remind her how special she is. The Meadow Ring by Keepsake Family Jewelry can be customized with your choice of metal, birthstones and engraving. 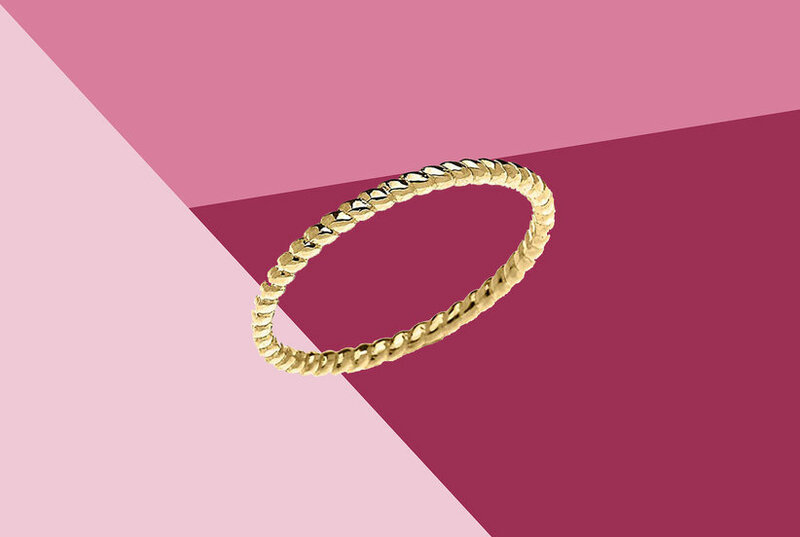 This fashionable keepsake ring is created in 10kt or 14kt gold with synthetic or genuine birthstones. Round, faceted gemstones are inlaid onto a slim polished curved band. Personalize with your choice birthstone color.